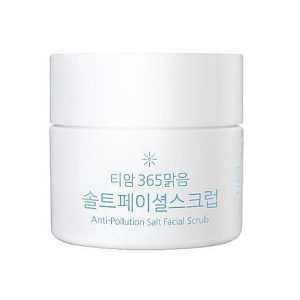 The Ti’am anti pollution scrub is not just your regular exfoliating scrub.This scrub contains sea salt as its main ingredient that purifies your pores, sloughs off dead skin cells and impurities,without dehydrating or irritating your skin and restores the skin’s healthy barrier giving your skin an instant brightening effect. 1.Spread an appropriate amount on a dry face, avoiding eye and lip areas, and gently massage the face. A deep cleansing wash off pack that transforms into bubbles and purifies your pores for a healthy looking skin.This pack contains centella asiactica to soothe irritated skin and tea tree oil that has antibacterial benefits and helps prevent future breakouts. 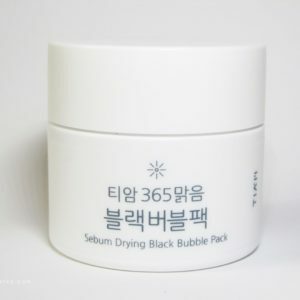 USAGE:Take an appropriate amount, apply evenly on the face, massage smoothly when the pink bubbles form, and wash off with warm water after 5 ~ 10 minutes. Make skincare a fun routine!! 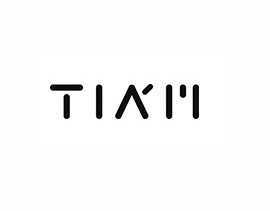 Tiam Blending Powder offers three choices of science-backed ingredients that make a real change in your skin. 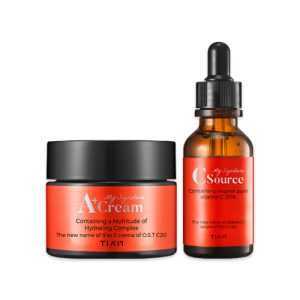 By offering these ingredients in powder form, these products allow for maximum absorption to effect real change in your skin. 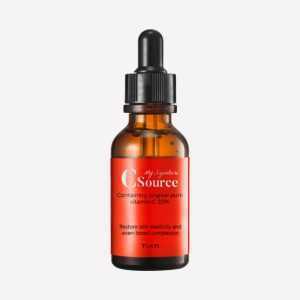 Vitamin- lightens hyperpigmentation,brightens and improves skin tone . 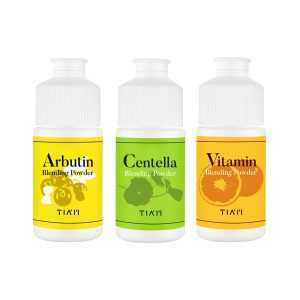 Take a pea-sized powder and mix it with your skincare products currently in use like toner, serum, or cream, etc. After mixing the content, gently spread on skin and pat to absorb it. Hydrate,moisturise and balance your skin . 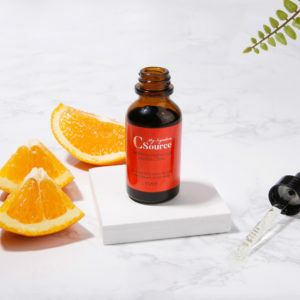 Alcohol-free, fragrance-free, and a low pH toner! 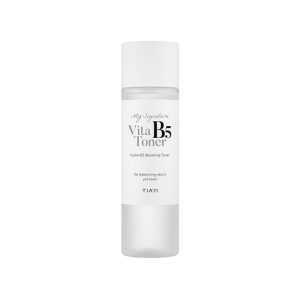 Tiam My Signature VitaB5 Toner is formulated with Pro Vitamin B5 and Natural Moisturizing Factors. 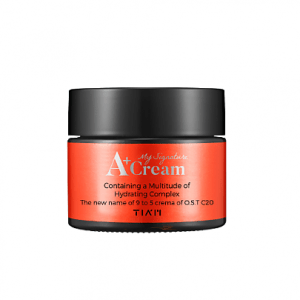 It instantly quenches dehydrated skin and boosts skin’s moisture level. Formulated with Peptide and Betaine, it enhances damaged skin barrier and restores the skin to its optimal level and allows your skin to become well balanced.It instantly replenishes skins moisture creating a moist and firm base that ensures the next skincare step is effectively absorbed. TIP- use it as a 7 step layering a few times a week to give your skin a hydration boost. You cant make your pores go away,but you can definitely minimise your pore size by keeping it clean. 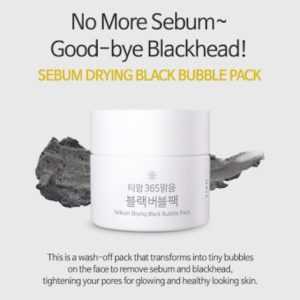 The Tiam sebum drying black bubble pack is mask wash off that bubbles on the skin surface and purifies the skin, formulated with good key ingredients like Charcoal powder and bentonite helps extract excess sebum and residue from makeup,egg white extract help tighten enlarged pores, remove blackheads, tones/firms,while allantion hydrates the skin,resulting in tighter pores. 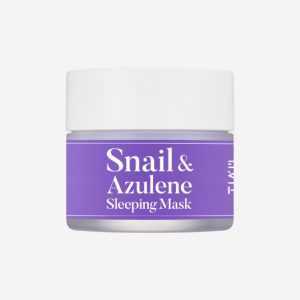 A Sleeping mask that relaxes tired,stressed skin soothes and calms with azulene and allantoin, Panthenol and betaine strengthens moisture barrier and a whopping 85% snail secretion filtrate that enhances skin elasticity, strengthens and repairs the skin to its healthiest condition. As the last step of your PM skincare routine. As a mask wash off when skin feels flaky and dry.Apply a thick layer to the skin and wash off after 20 mins.This instantly makes skin feeling soft and smooth. 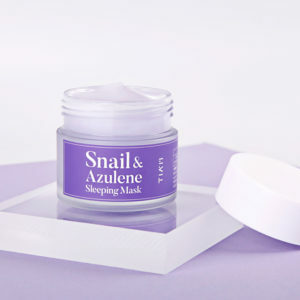 Hydrate,Moisturise and strengthen your skin with the Ti’am snail azulene essence. 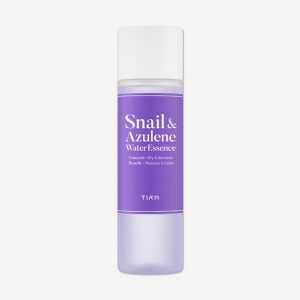 Formulated with 87% snail mucin known for its skin healing properties and azulene extracted from chamomile is used instead of purified water.Azulene soothes dry,irritated skin and strengthens and restores skin to its normal,healthy condition. Layer several times with this hydrating watery essence to give your skin an extra hydration boost. Store it in the fridge,soak in cotton pad and apply it on dry patches like a masksheet for 5-10mins. 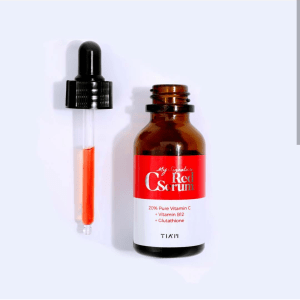 Tiam My signature C source:s a Vitamin C Serum with 20% pure Vitamin C. This powerful serum brightens and brings back radiance to the skin, while removing blackheads and treating pigmentation from acne scars. Tip:use only at night after toner step.